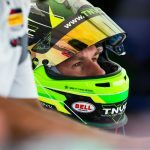 January 25th-28th was the start of the 2019 season, and Californian Jeff Westphal was racing in 2 separate races that weekend, one being the BMW Endurance Challenge: Round 1 of the IMSA Michelin Pilot Challenge Championship with an Audi R8 GT4 LMS and the second is the 24 Hours of Daytona in the IMSA Weathertech Championship in the Weathertech Ferrari 488 GT3. 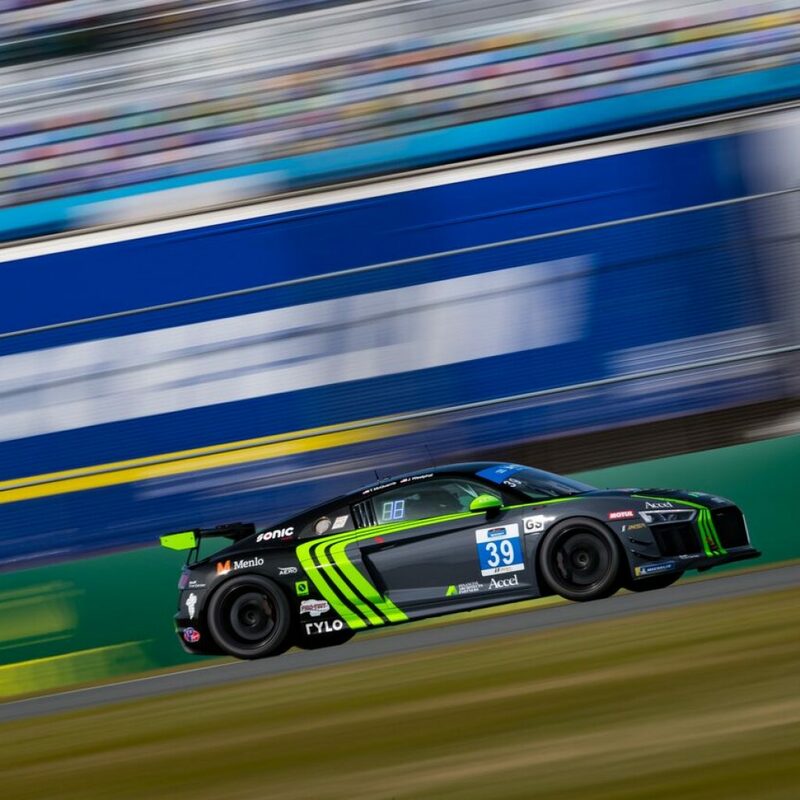 Friday was the 4Hr race in the Carbahn Autoworks & Peregrine Racing Audi R8 GT4 where drivers Jeff Westphal and Tyler McQuarrie would pilot the V10 engined Audi around the high banks at Daytona International Speedway. With the #39 Audi qualified 4th of 34 cars, things were looking positive for the chances to walk away from Round 1 with a heathly points haul. First in the car was Danville, Ca native Mcquarrie, who kept his composure at the start and wisely slipped back 1 spot to 5th place, not force an issue. But true to form, not 32 minutes later started working his way back up the grid and was in 2nd position as he sliced past the #15 Multimatic Motorsport Mustang GT4 of Ty Majeski. A few yellow flags and pitstop cycles later, Westphal inherited the car with 2hrs and 14 minutes left to run from 2nd position, and exited pitlane after the stop in 15th place due to the green flag nature of the circuit. Not 20 minutes later, Westphal was back up into 2nd place with a car that was as quick on used tires as it was on new, which is a huge testament to the Carbahn Autoworks engineering prowess. At the next yellow, Westphal took the lead and covered the field for laps until the massively fast Mclaren’s came back up to the front of the field with an 8MPH advantage on the others. Unfortunately as the race continued to unfold with Westphal inside the top 3, the strategic call made nearly one hour ago left the #39 Audi almost 2 laps short on fuel from the end of the race. A yellow flag of significance was needed to extend the fuel window through the end of the race, but the yellow period that did come was 1 lap too short, forcing Westphal to pit just before the last lap of the race for a splash of fuel under green flag conditions. 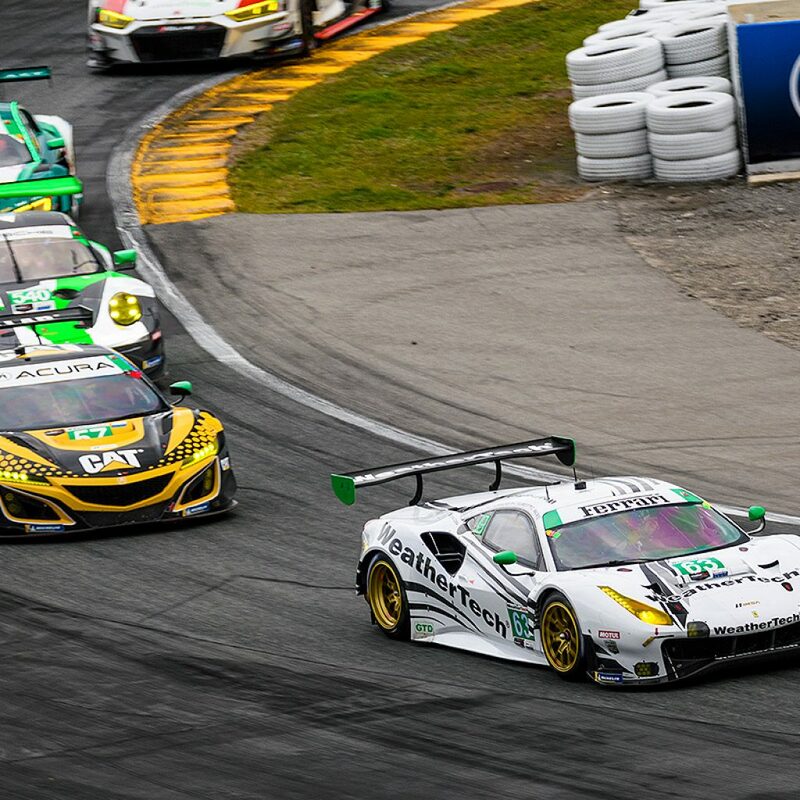 Fast forwarding to Saturday, the start of the 24HR event, round 1 for the Weathertech Sportscar Championship in the uber competitive GT3 field (or GTD in IMSA’s terminology) where the #63 Ferrari 488 GT3 was starting 16th in the twice around the clock endurance event. Cooper Macneil qualified and would start the #63 with Westphal in second, German Ace Dominic Farnbacher in 3rd, and Factory Ferrari Driver Toni Vilander 4th in the rotation. “This is one of the most competitive fields I’ve seen in the 24Hrs of Daytona, with drivers from all over the world that hold major wins, titles and championships under their belt. It’s a litany of factory drivers, high talent cross overs (Simon Pagenaud, Sebastien Bourdais, Fernando Alonso, Kamui Kobayashi, Juan Pablo Montoya and many more).” Explained Westphal. “This should be a real battle for every hour to stay with the leaders and be in a position to strike when the last 2 hours begin to unfold. The Scuderia Corsa prepped Ferrari 488 GT3 wearing the Weathertech banner was a consistent front runner, with Westphal driving the car into the top ten in his first stint, and progress being made by the successive drivers as the race started in its first 6hrs. By 20 Hours in, Westphal and company had led over 100 laps of the race, and spent nearly 250 laps inside the top 5 of the GTD class. As the race neared the 22 hour mark, with heavy rains that had already set in and continued to pound the circuit during the early am hours, the #63 Ferrari with ace Vilander at the helm ran into the back of a Porsche in no visibility conditions of a restart following a lengthy yellow, which rendered the Ferrari out from the 3rd position in class while running the fastest laps of the field in treacherous conditions.